There’s something about foods named ‘cookies and cream’ that is truly comforting to me. Whether in the form of a milkshake, ice cream, cupcakes or bars, I can trust that cookies and cream will be delicious. It seemed only right then that I would make cookies and cream cookies during this challenge! I needed my coworkers to lend me an hour of their time this week to participate in a Twitter chat so obviously I promised them baked goods in exchange for their participation. Honestly at this point I’m pretty sure they expect me to bring sweets anyways but I wanted everyone to show up so I made it explicitly clear there would be a reward. 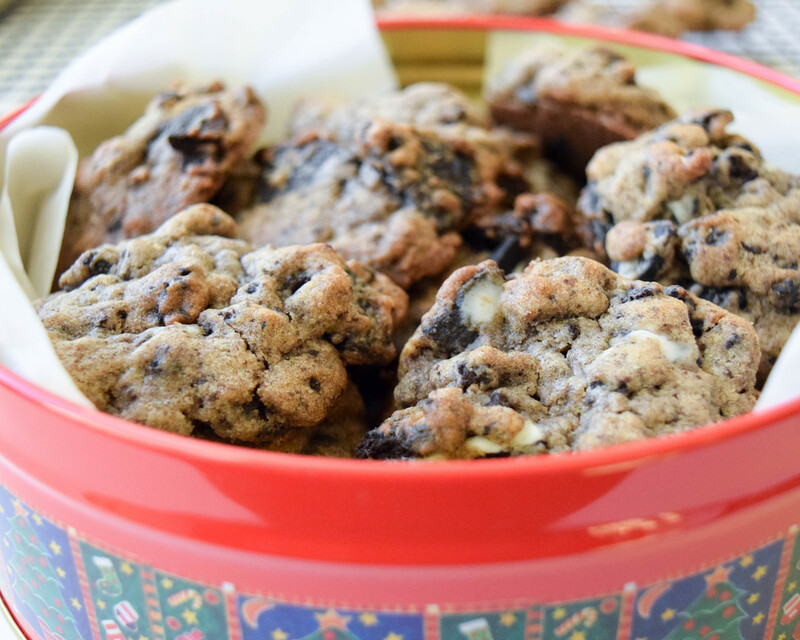 Per usual, cookies and cream delivered and these cookies were a big hit. 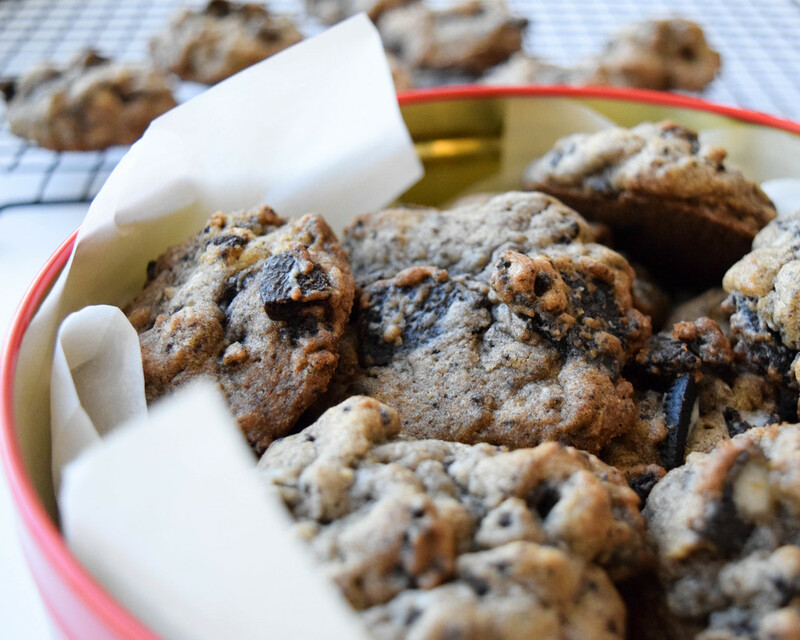 The recipe calls for ⅔ of a pack of Oreos to be mixed into dough. I added the Oreos in batches and felt that I really didn’t need more than half of that. 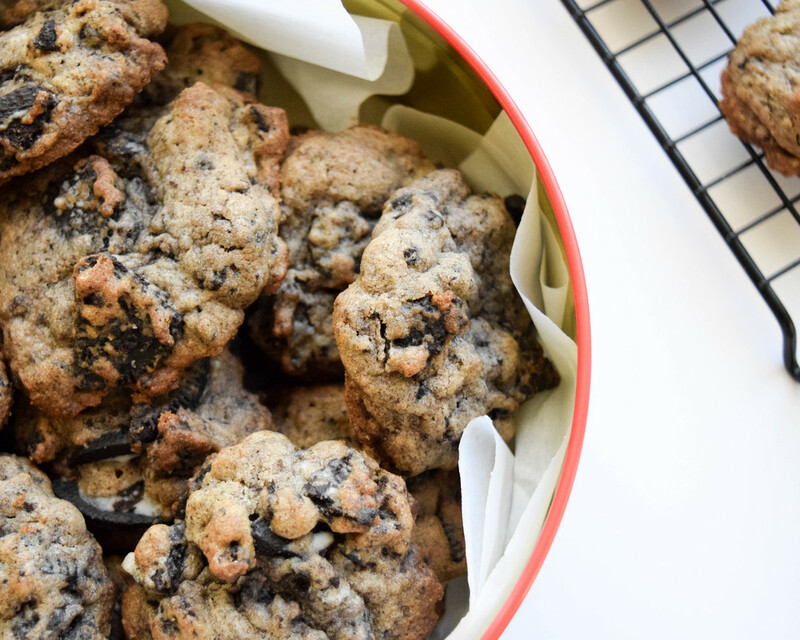 You may want more so add the Oreos in batches and keep an eye on the dough as you go! Along those same lines, softened butter requires some planning. Pull it out a few hours before you plan on even starting to bake because microwaving the butter is just not the same.